Have you written a letter to your future self before? Back in the early 2010s, I came across the Yahoo! Time Capsule, where users could contribute to a digital legacy of how life was in 2006, which would be opened at a later date. I then came up with the idea of writing a letter to your future self, where you write a personal note to your future self, seal it, and then open it at a future date. There are no restrictions on how far you should project your letter to — you can write to your future self 1 year, 3 years, 5 years, or even 10 years from now! Why Write a Letter To Your Future Self? Doing this exercise can be a really insightful experience. Imagine writing to your future self 5 years from now — what would you say? What kind of person would you be? What goals would you want to have achieved? Not only is it mind boggling, but it gets you thinking about your goals 5 years from now. As you write your letter, you will start to think about the actions you should take to realize them in your expected time frame. Subsequently when you open your letter 5 years down the road, you get to assess the things that match (or don’t match) up vs. your expectations, and reflect why that’s the case. Often times, our goals are subject to a lot of changes due to unanticipated circumstances and changing priorities. 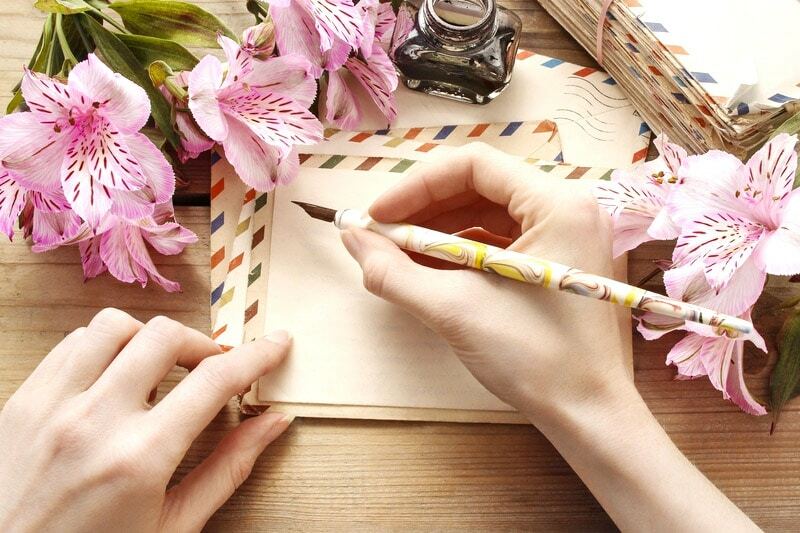 Reading your letter lets you see how your life trajectory has changed since writing it. It also makes you pause and think about how you are doing, and whether you are where you want to be in life. While you can write to your future self from any time period, I recommend to start with a one year time frame. This way, it’s easier to envision your goals, and it also gives you a comfortable time frame to take action. What do you want to be one year from now? What are the goals and dreams you want realized by then? What is your desired status for the areas on your life wheel? Career/Business/Studies? Money/Wealth? Family? Friends? Love? Health? Spirituality? Recreation? Contribution? Self-Image? Once you’re done, sign off with your name and today’s date. Keep your letter in a safe place. Put the papers in an envelope. Seal it. On the cover, write “To [Your Name]. To be opened on [Date].” Replace “[Your Name]” with your name, with “[Date]” the date that’s one year from now. Set an appointment in your calendar to open your letter one year from now. Put this envelope in a safe place where no one can access it. For your letter format, you can either write a physical letter or type it. I used to write my letters using pen and paper, but I’ve since switched to typing and printing the final copy (this way I have a backup if anything happens). You can use FutureMe.org, a service that helps you send your message to your desired email address at any point in the future. Personally I recommend to write your letter on your computer and store it, rather than using such a service. With an external service, you never know who has access to your letters, and your letter will be gone if the service gets shut down. Back in 2008, on February 10, I wrote two letters to myself. The first letter was to my future self one year from then, on February 10, 2009. The second letter was to my future self 5 years later, on February 10, 2013. A year later on February 10, 2009, I opened my first letter. It was interesting seeing what I was like in the past and how much I have changed. One of the biggest changes was my materialistic tendencies. While I was not a very materialistic person when I wrote my letter in 2008 (I was 23 years old then), I became less materialistic since, given my revelations on my relationship with material wealth and goods. My consciousness was also higher as I had been working a lot on my growth. There were some goals I had not reached yet. For example for Love, I thought that I would have found my relationship partner by then, but I had not. This wasn’t an issue as I came to the realization that we are already perfect as singles (I would later meet my soulmate, now husband in 2013). In terms of Friendship, some friends whom I thought I would still be on great terms with had slipped away. Instead, I formed great friendships with other people in the past year. In a way, it’s like a natural equilibrium — when you let go of certain old connections, new connections will take their place. There were goals that I didn’t reach as I abandoned them halfway, because they lost meaning to me. An example, buying a car. When I received a pay rise last year and was able to consider getting a car, I realized that owning a car in Singapore, where public transport is readily available, does not resonate with my highest self. My original intent of getting a car was more for image reasons — which is true for many car owners in Singapore — and that desire had long been shed, along with my old self. Not to mention, having a car isn’t exactly environmentally friendly. Grab your pen and paper now and start writing your letter to your future self! Identify a time period to write to, imagine what you would be like, and then start writing! Think about the kind of person you would like to be, what you would want to be doing, what you would have accomplished by then, and so on. For those of you with Live a Better Life in 30 Days Program, the task for Day 29 is on writing a letter to your future self.